Providing you the best range of handmade banjara gypse bag with effective & timely delivery. This bag is handmade from vintage and authentic Rabari and Banjara textiles. They were sewn together and embellished with exquisite embroidery,cowrie shells and mirrorwork.Each side of this bag is made by using a completely different material.Kuchi coins decorate the entire piece. 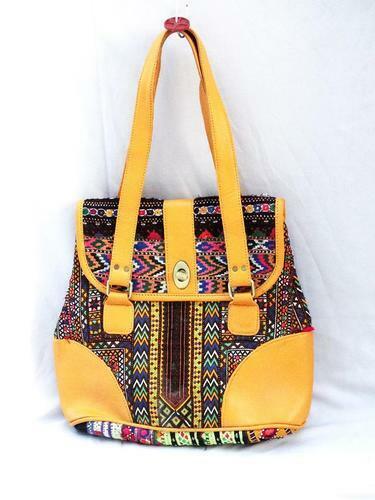 Looking for “Vintage banjara bags”?